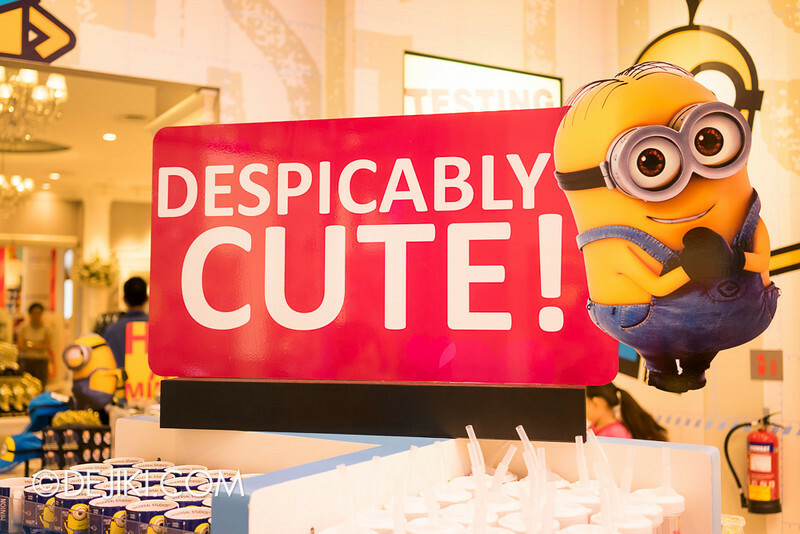 Love the Minions from Despicable Me? 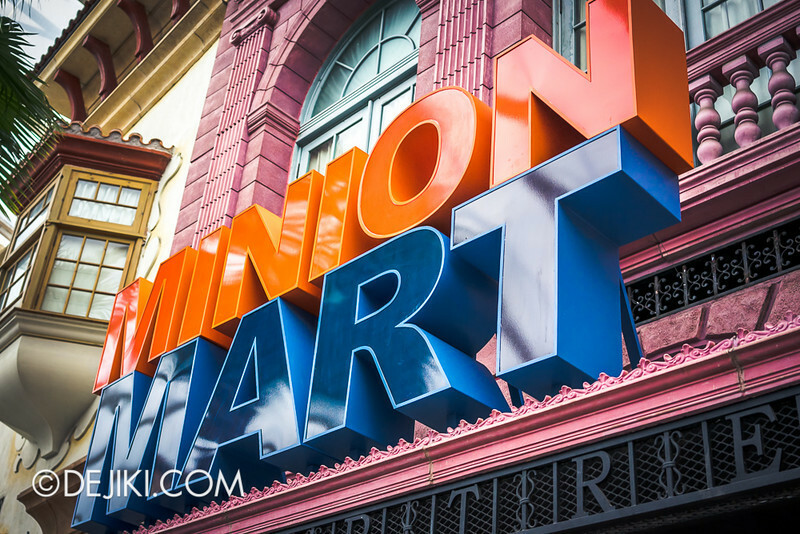 Now, there’s a new shop in town! 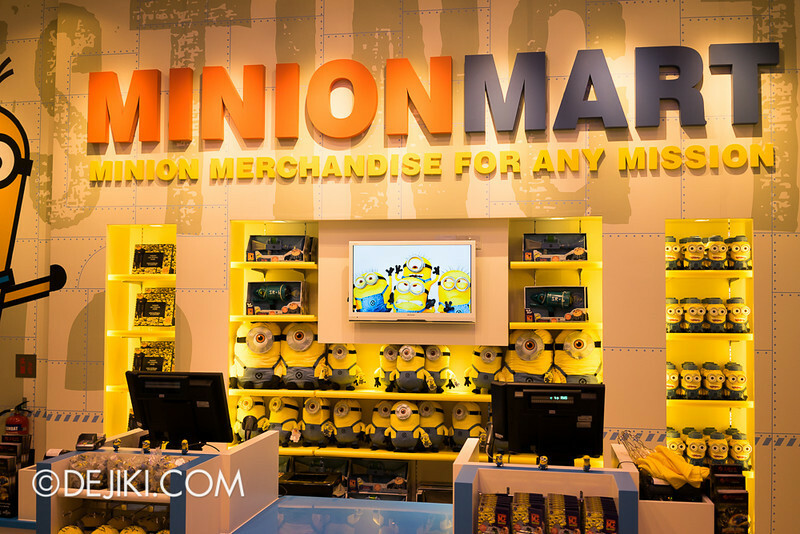 Explore the all-new Minion Mart in this month’s park update! 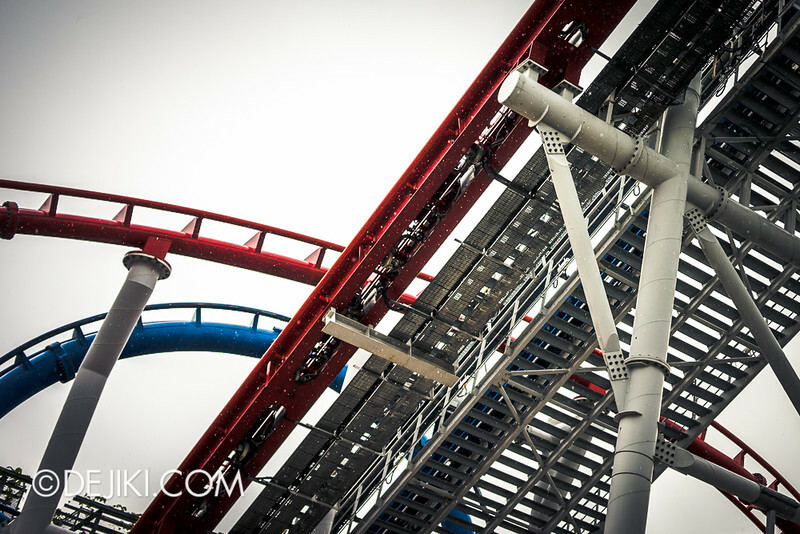 With the new Easter programme, expect the park to be more crowded than usual! 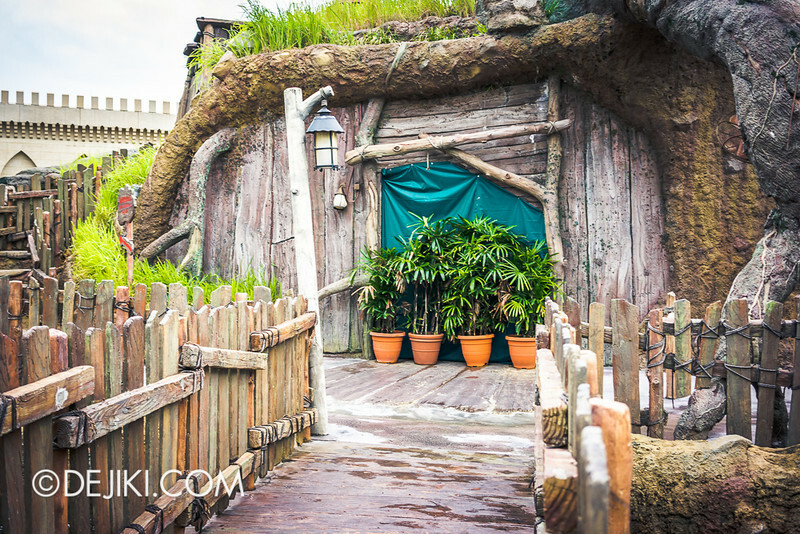 Shrek’s Stump/Home has been closed off, with the doors sealed. I’ve no idea what’s happening here – though it means one less photo spot with park characters. This stump actually hides a ride vehicle maintenance/storage facility for Enchanted Airways. Thanks J for mentioning this in the last update. 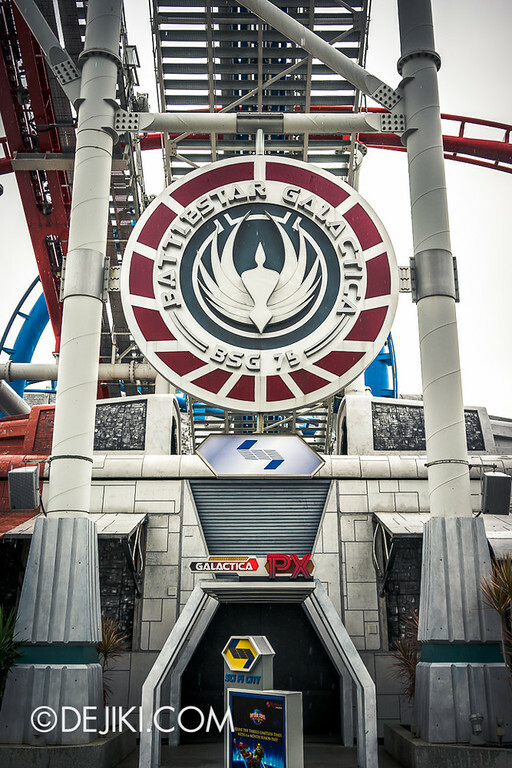 No updates on Battlestar Galactica – although some of the Sci-Fi City props under the tracks look visibly cleaner, like they’re repainted. 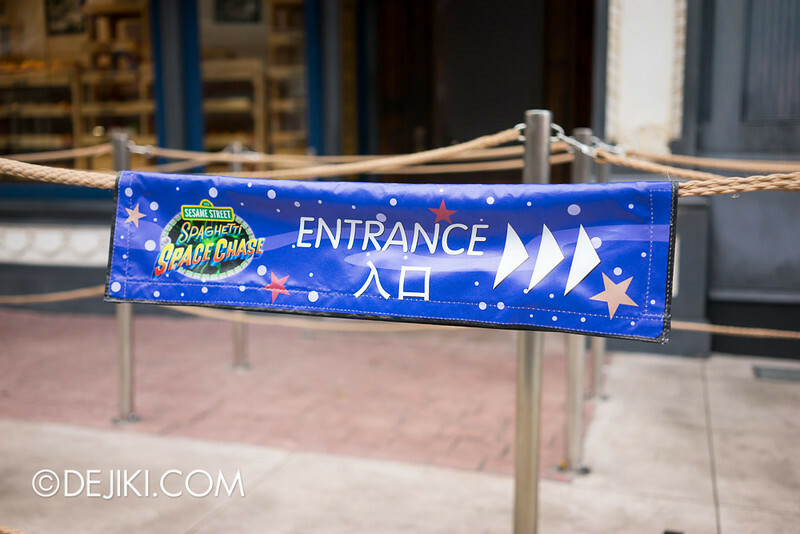 Sesame Street now has these covers for the overflow switchbacks, telling guests where the entrance is (because it can get confusing). 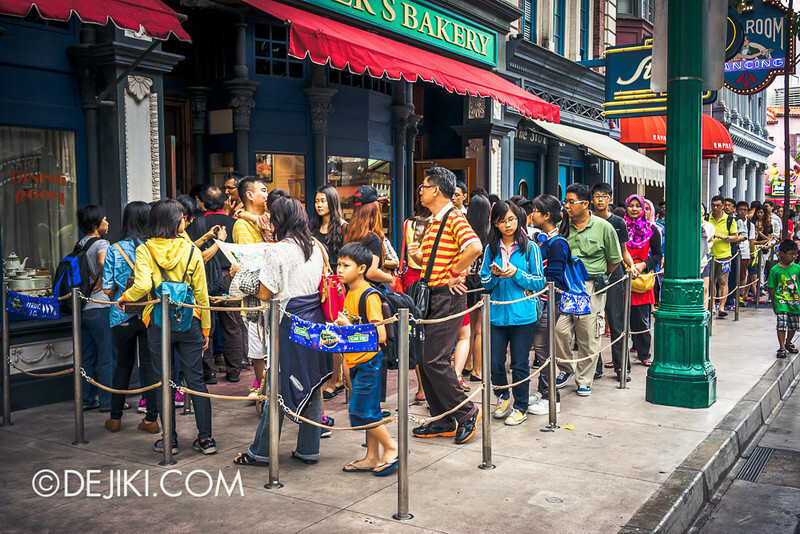 Good weekend business for Sesame Street – even around mid-day, the first overflow queue was full. 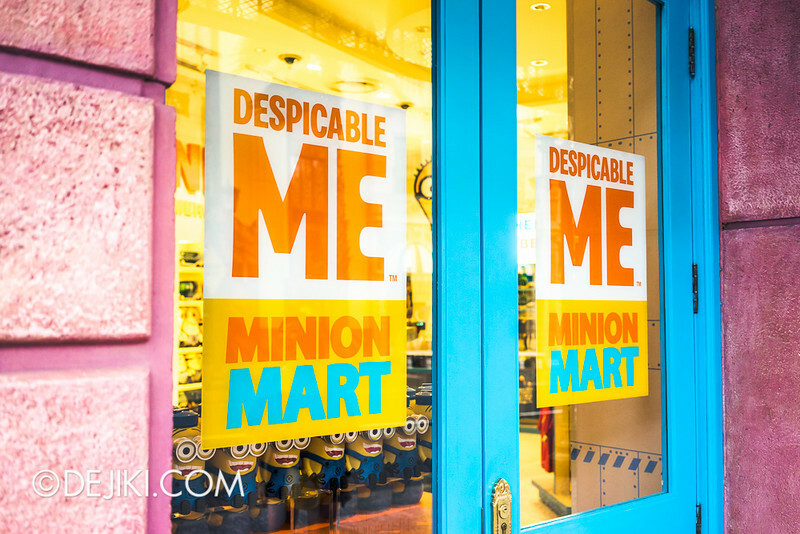 Hollywood now has a new Minion Mart – for all things Despicable Me. 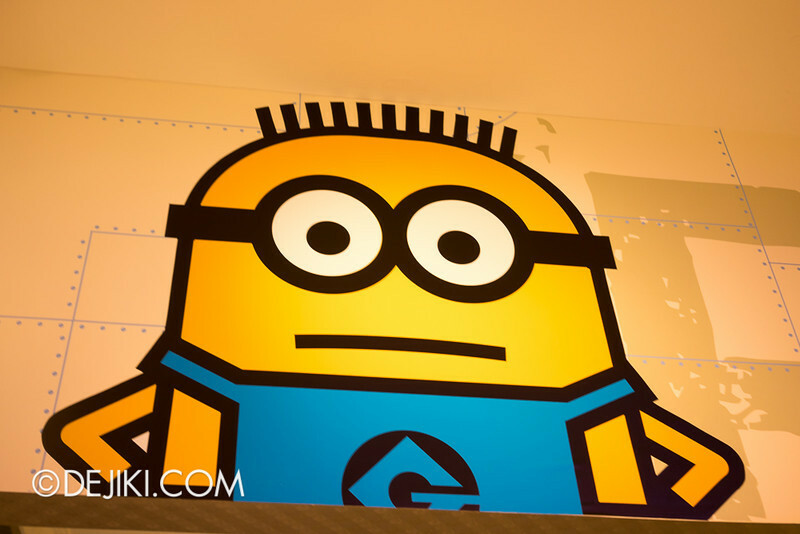 Outside the story is a giant-sized Minion (Jerry from DM1? ), who will be available for pictures all day, every day. 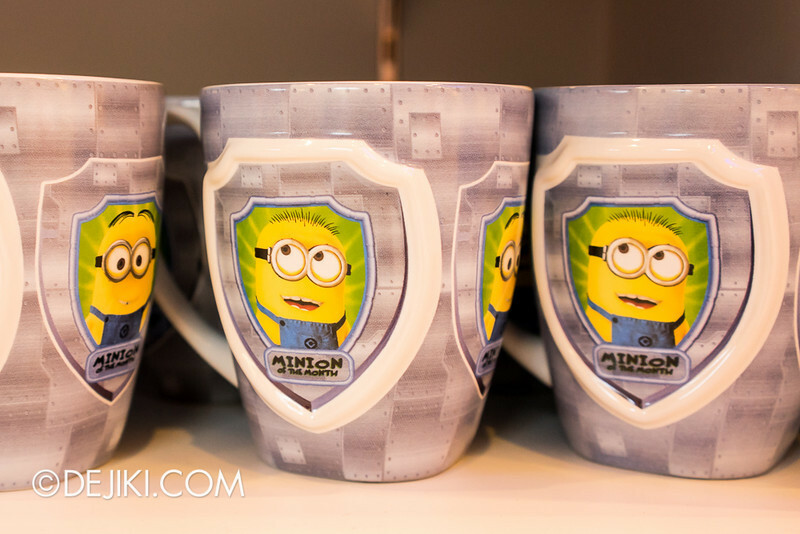 Minion Mart takes over Silver Screen Collectibles, which has the Café Montmartre facade. The same collectibles (“Oscar” trophies and Records) are still available at the adjacent store. This also marks the second time a retail area themed to Betty Boop has been axed. 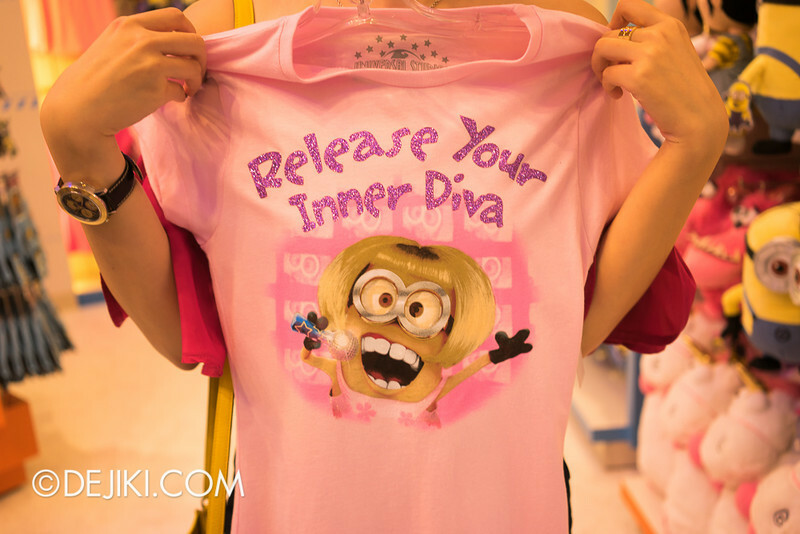 The first one was at Brown Derby (which became Sesame Street themed), and now her second shop is taken over by minions. Betty Boop now greets guests outside The Darkroom, a neighbouring store that sells photography supplies and “green-screen” photos. 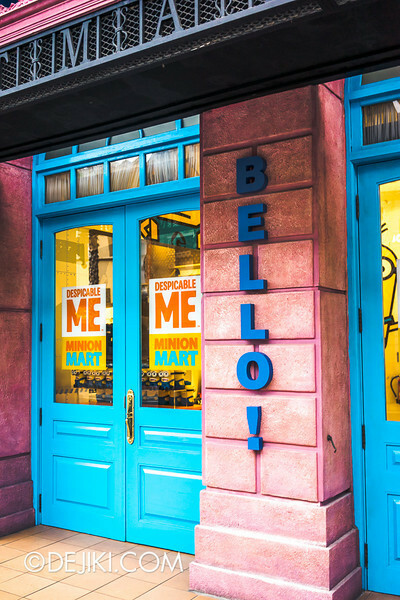 It’s not a big shop and the decor is simple with mainly printed and 2D elements. 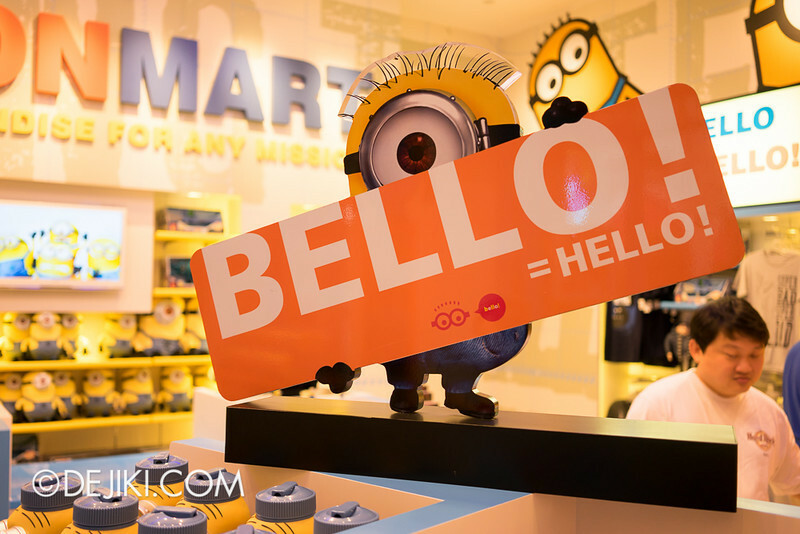 Nonetheless it’s far nicer than the old Betty Boop shop, and I’m sure the merch, being all about Minions, will definitely sell well. 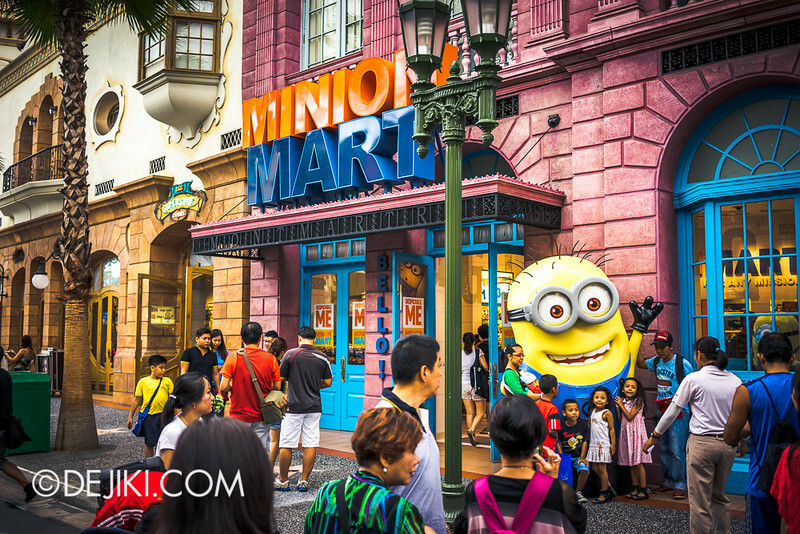 The main Universal Studios Singapore store, just across the road, still has its Despicable Me retail area. 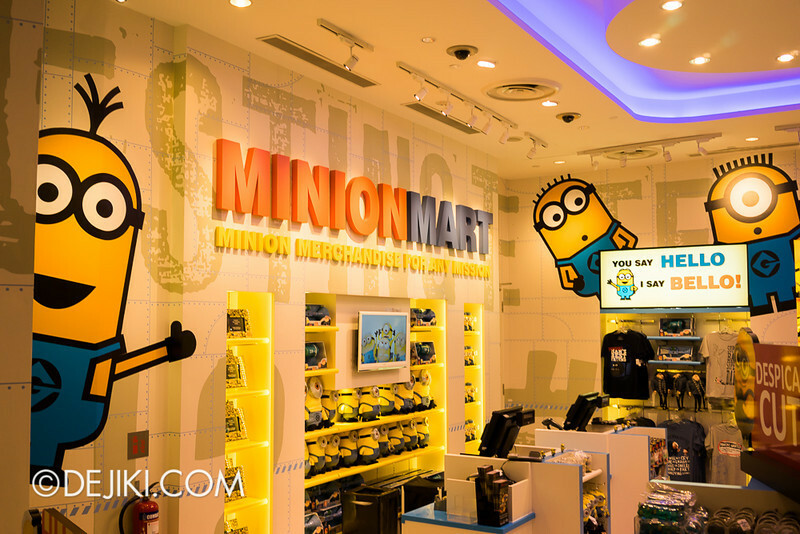 It’s uncertain if it will remain this way, because Minion Mart isn’t big enough to display everything (yet). 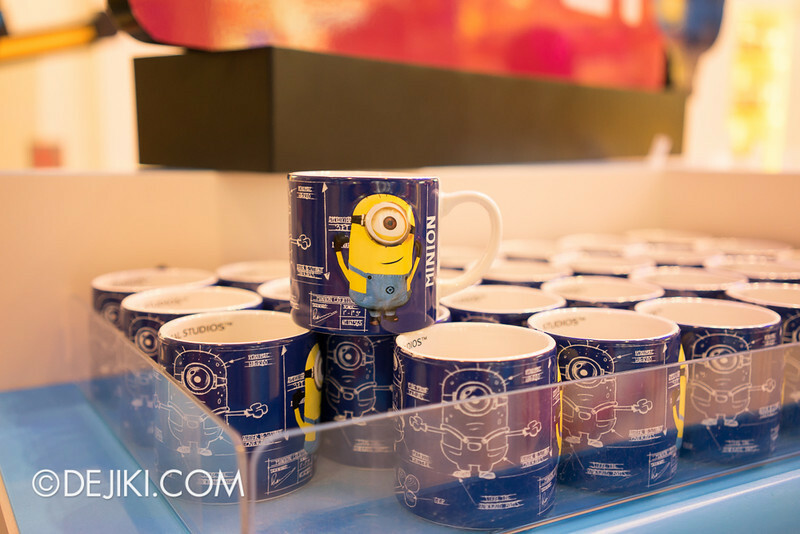 It’s cool to see so much yellow and blue in one store, though. 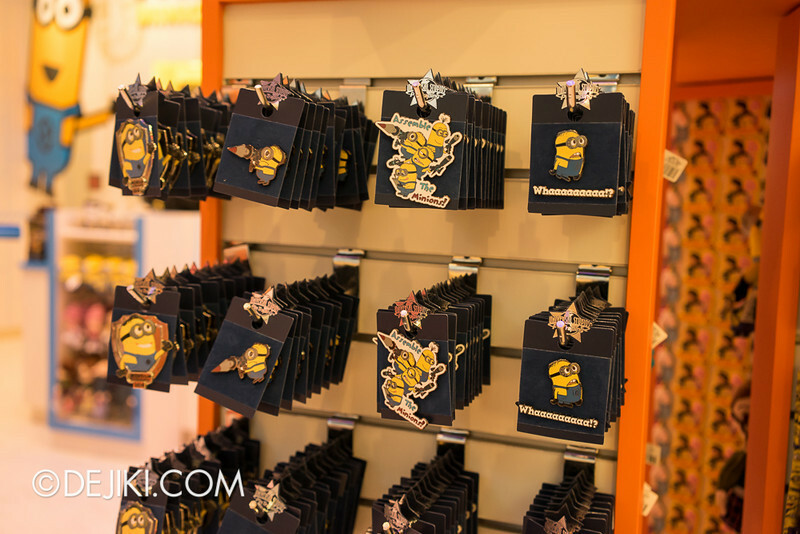 Smaller items, like pins and magnets, got the most out of this new store. It’s much easier to browse and pick. Fluffy! Why leave with just one? 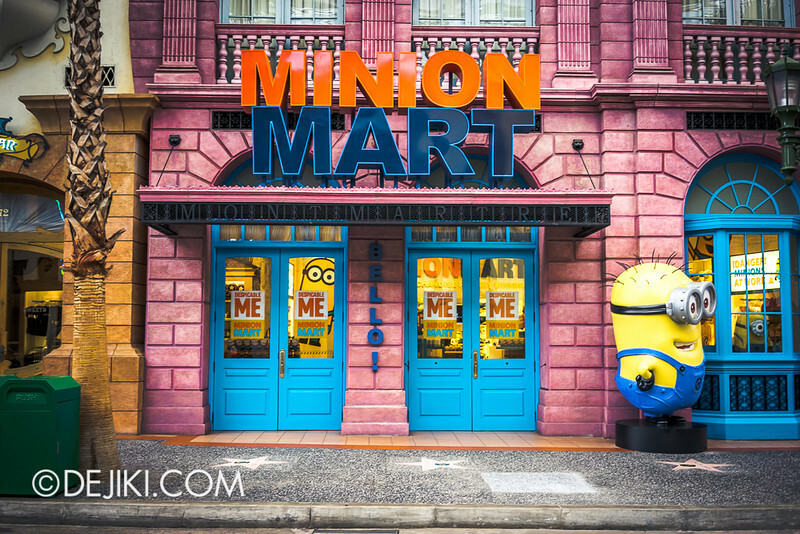 The large minion outside the store is so popular you might need to wait in line for your turn. Crew members will be around to assist with photography. That’s about it for this month! Remember to check out the entry covering the park’s first Easter-themed event: Easter Egg Island! I’m awaiting my visit to the park this Friday but I’m kind of afraid of the long crowds. Will it be very crowded? I plan on going for Monster Rock, Revenge of the Mummy, Enchanted Airways and meeting as many characters as possible, hopefully including E.B. as well. It is expected to be as crowded as a typical Saturday. You will be able to experience all the attractions mentioned, although there may be long waits for Enchanted Airways. There will of course, be some wait time for all meet and greet characters. I would suggest prioritizing and meeting E.B. first (check the show times and ask a cast member for meet and greet times). how was your experience? 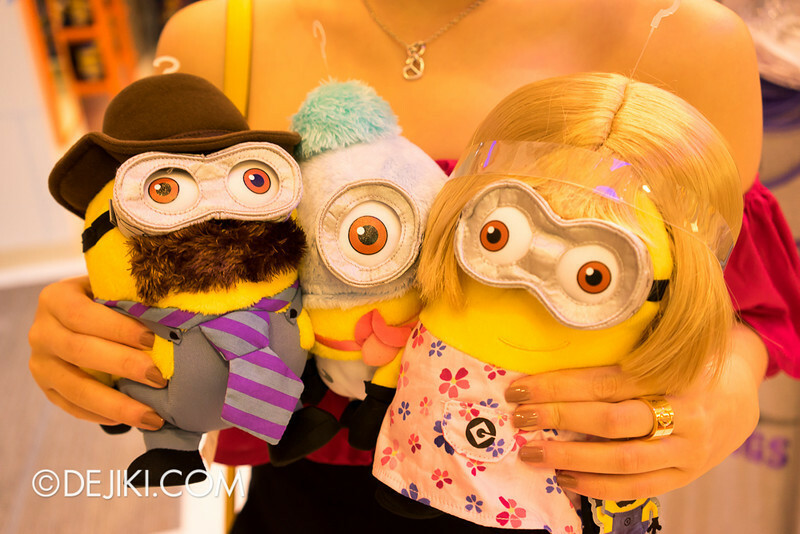 did u meet characters? i have planned my visit to singapore too but i am afraid of not getting chance of meeting and photo shooting with characters :/ can u suggest me when should i go, wkday or a weekend? 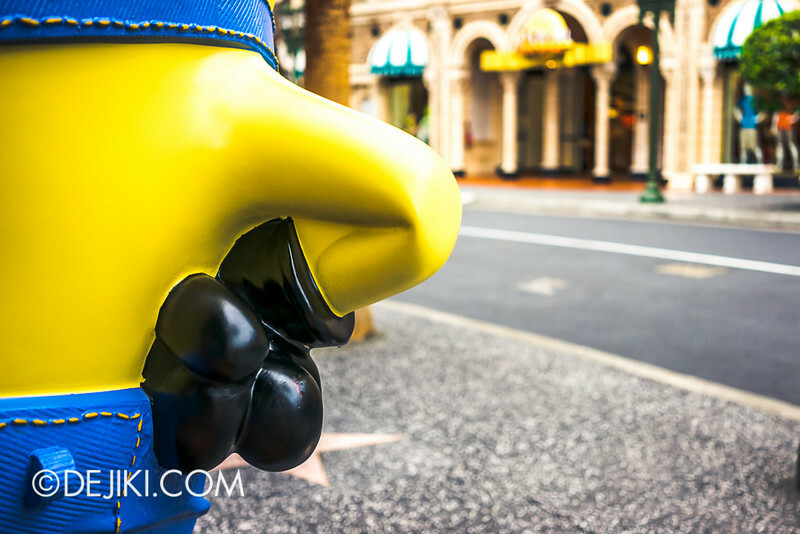 Characters appear daily in all zones of the park. 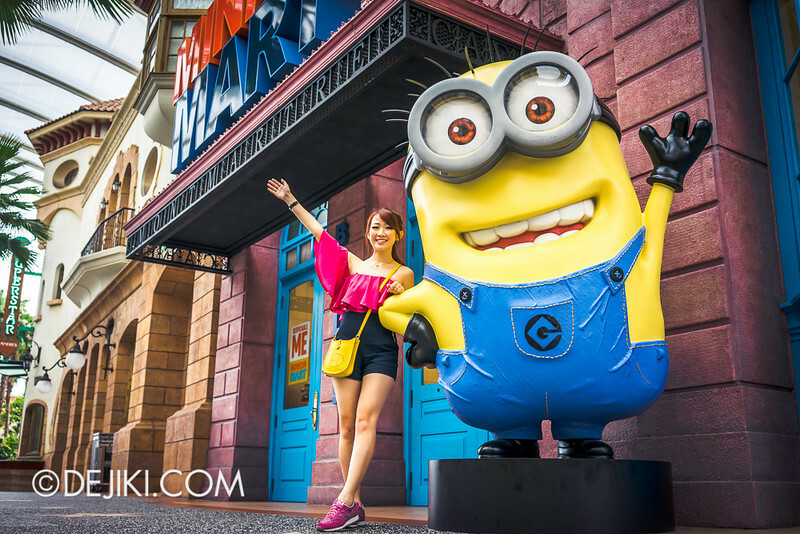 Do check with some of the park staff assisting the characters for other characters’ appearance times. I think you should go on a weekday to avoid the crowds, although you can see many of the park’s characters in the Hollywood Dreams Parade which usually shows only on Saturdays. Not all characters may appear on the same day, but there is a good chance that they might as well. 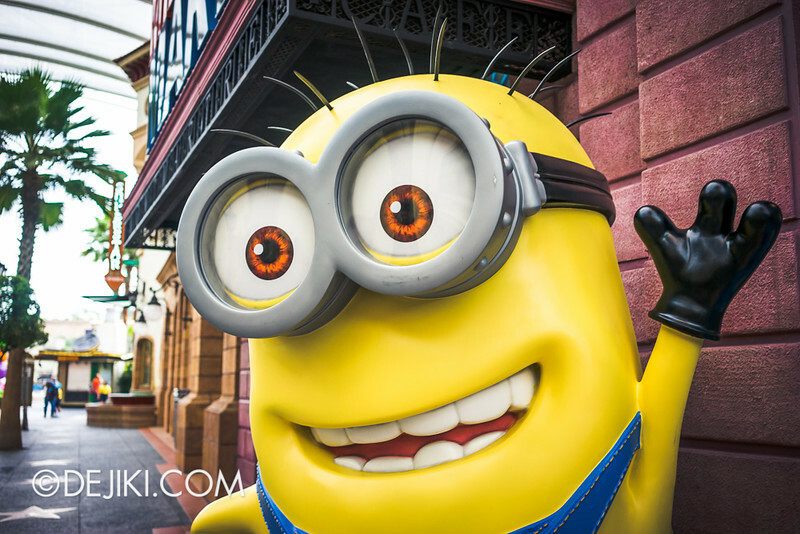 Some characters in the park include Woody and Winnie Woodpecker, Shrek and Fiona, Pinocchio, Elmo, Cookie Monster, Scorpion King, Nile Princess, Marilyn Monroe, Charlie Chaplin, Beetlejuice, Madagascar characters, Minions and Betty Boop. There are several more, so do check on the day of your visit. Events such as those during the Easter and Christmas periods also give you a chance to meet special characters. For example, the Easter Bunny (E.B. from Hop) appeared this year and last year for Easter. Santa Claus and his helpers also appeared for Christmas last year. Oh thanks for the advice! I’m looking more at the face characters though… Are there lines shorter? That said, I do want to see E.B. since he’s only here for Easter I think? Oh thanks for the advice! I’m looking more at the face characters though… Are the lines shorter? That said, I do want to see E.B. since he’s only here for Easter I think? is there any news about the expansion areas.. ?? 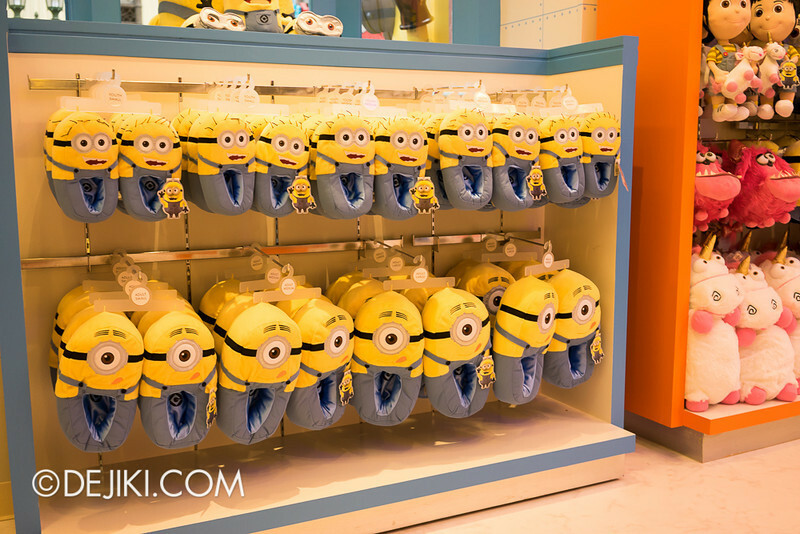 Minion Mayhem perhaps? lol.. Even if he knew, he wouldn’t be able to say it in the interest of his relationship with RWS. This is certainly not a spoiler site. There isn’t anything interesting to say really (and there is no special relationship with RWS). The company only informs me with information that is supposed to be made public. The land is still being prepared for new development. 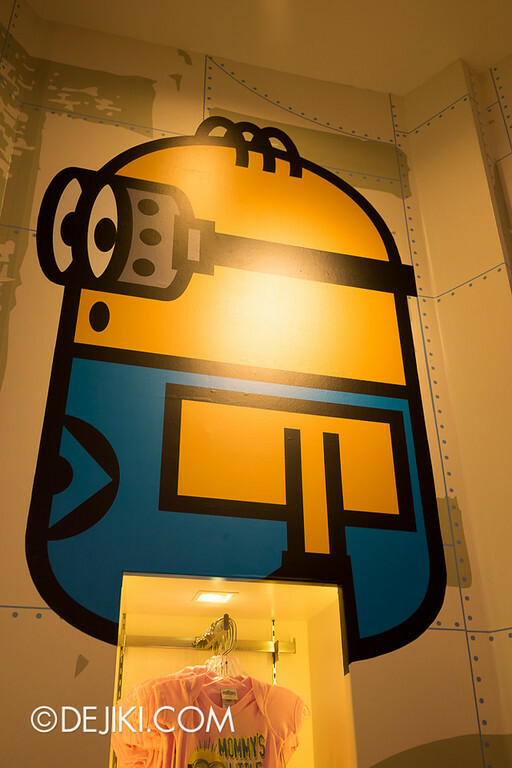 The plans for Minion Mayhem have been shelved. 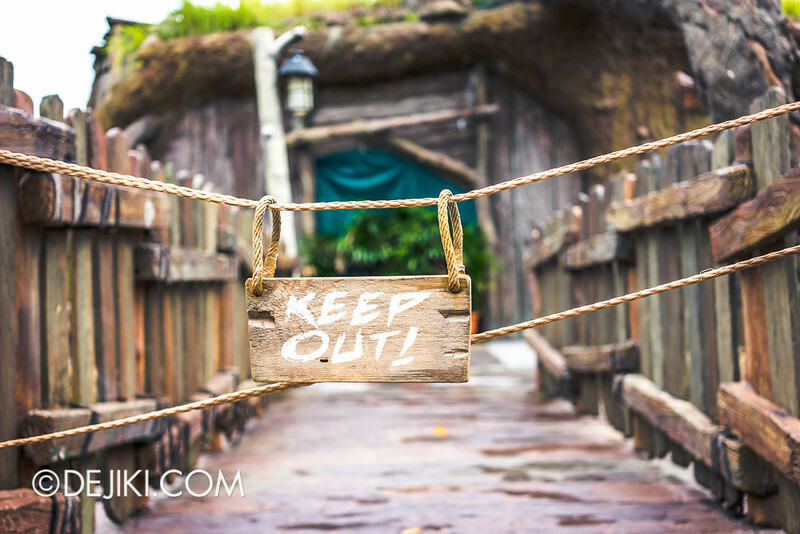 I am occasionally post park rumours and hearsay, but some recent rumours were eventually made untrue (not that they were incorrect, but because the park’s plans have changed). 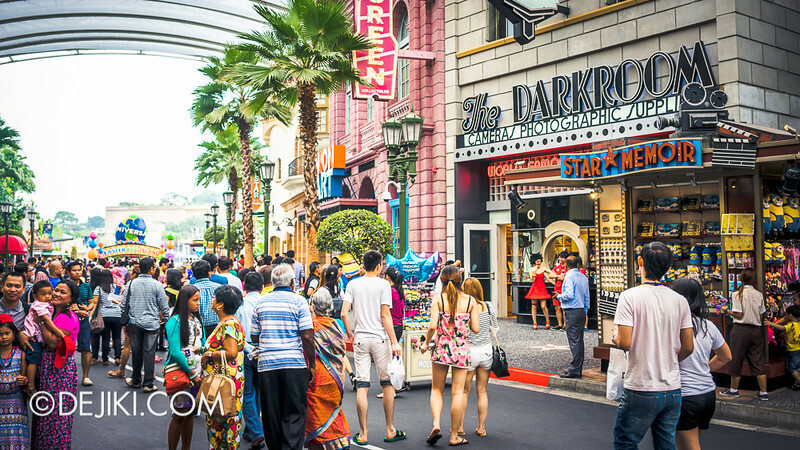 Frankly speaking, this park’s “insider news” is nowhere as exciting as other theme parks around the world. To top it all off, love the new updates! It’s long since I visited ur site or even USS. Furthermore, de new Easter Event looks cool thou. However, kinda disappointed bout de closure of BSG. Hope its gonna turn out into somethin interesting. 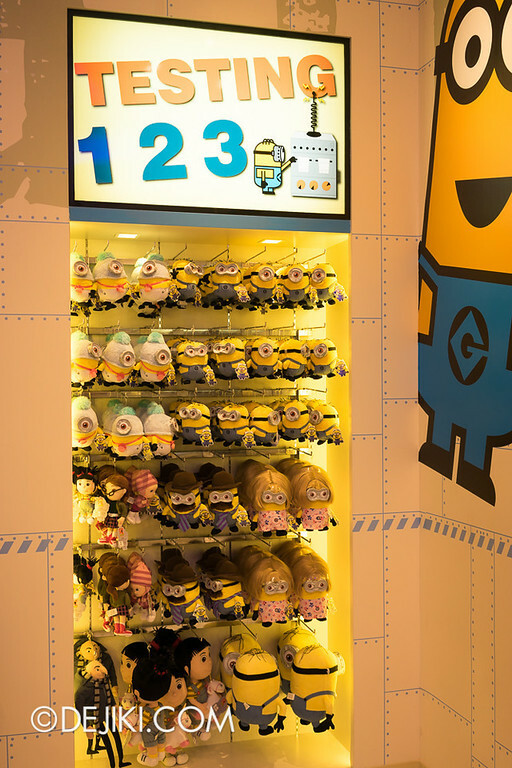 In addition, a qns in mind, is de Minion Mayhem Ride confirmed? If it is, where is it placed? (@ de Far Far Away Zone)? 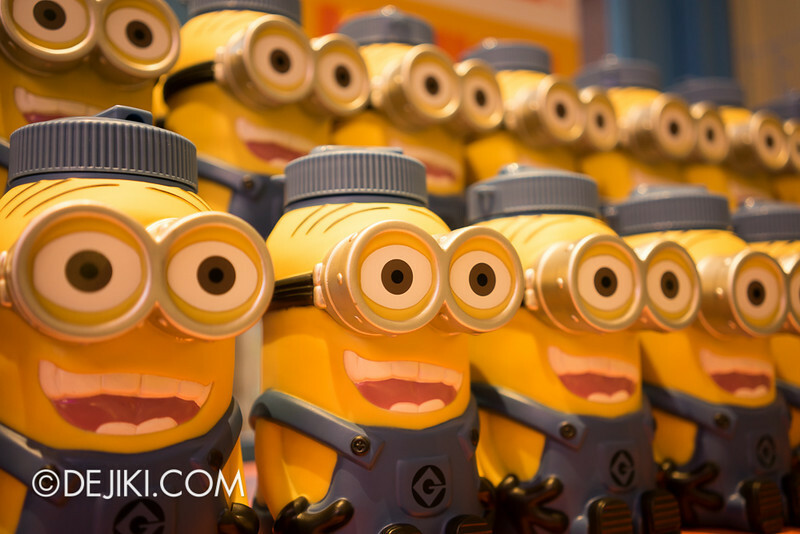 Plans for Minion Mayhem have been cancelled for another attraction which is supposed to be unique to USS.